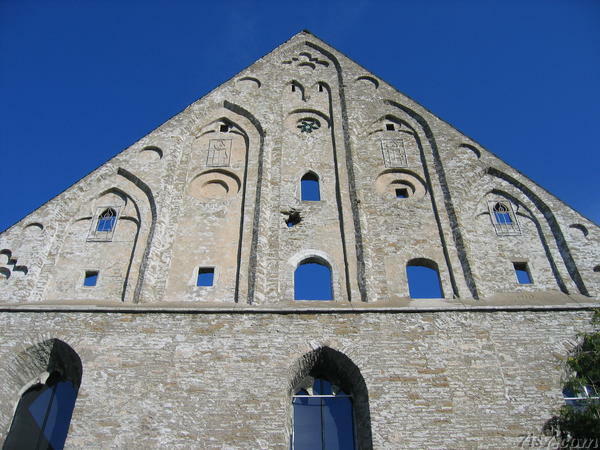 The landmark facade of the ruins of the 15th century convent of St. Bridget's is located in Pirita, a suburb of Tallinn. 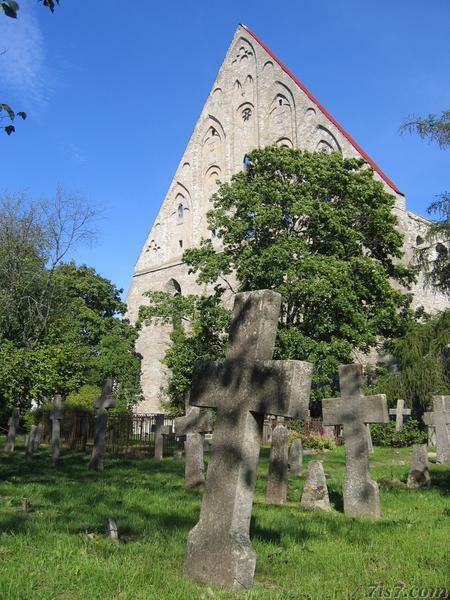 Pirita convent facade seen from the graveyard. The convent located on the banks of the Pirita river was completed in 1436. 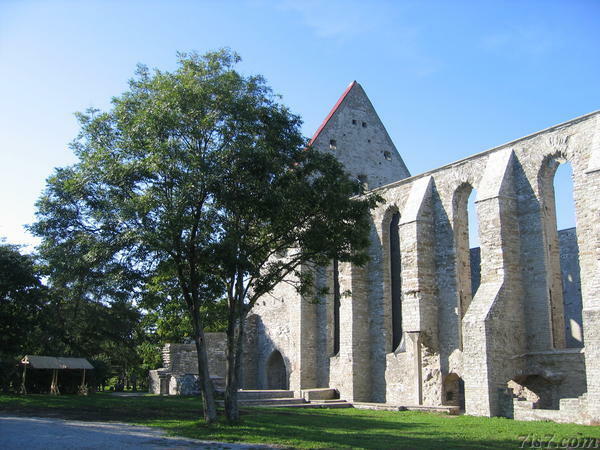 It was destroyed by the Russian army in 1577, while they lay seige to Tallinn. Facade of the Pirita convent. The side of the Pirita convent ruins. There is a legend that speaks of a tunnel from Toompea to the Pirita convent. Location: 59°27'59"N 24°50'9"E on: Google Maps, OpenStreetMap, Maa Amet.